Step and repeat banners turn every event photo into a promotional opportunity for your business. Whether it’s at a red carpet premiere or corporate party, this banner will make every event big. As its name indicates, step and repeat banner printing repeats a logo several times as the background. Guests are reminded of your brand as they pose for a photo and upon viewing their images from the event later. Choose from three step and repeat sizes, based on two factors. First is the ease of taking each photo. Second is the number of logos or the number of times each logo will repeat in the display. 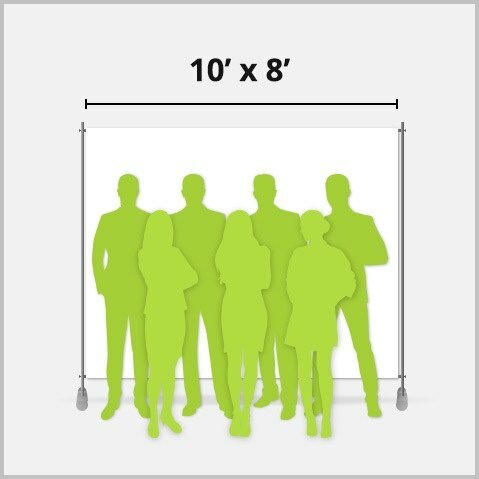 10’ x 8’ is the most popular size among customers. Its width is long enough to fit a large group in one photo. 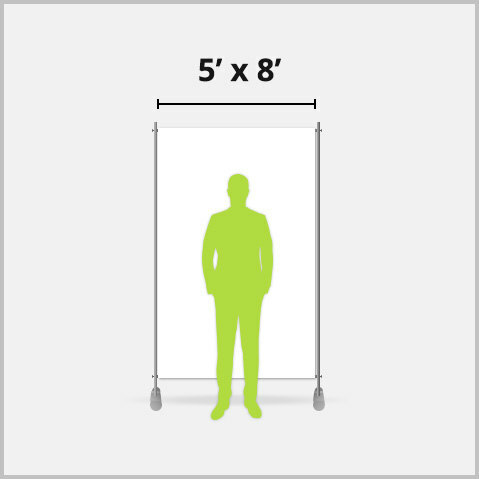 5’x 8’ is suitable for events where only photos of an individual or a pair will be taken. This longer and thinner size keeps the focus on one or two logos. 8’ x 8’ can fit a small group in one photo. It also has enough space for about two or three logos. We print custom step and repeat banners on three premium materials. You can order either a banner with a stand, or a banner by itself. 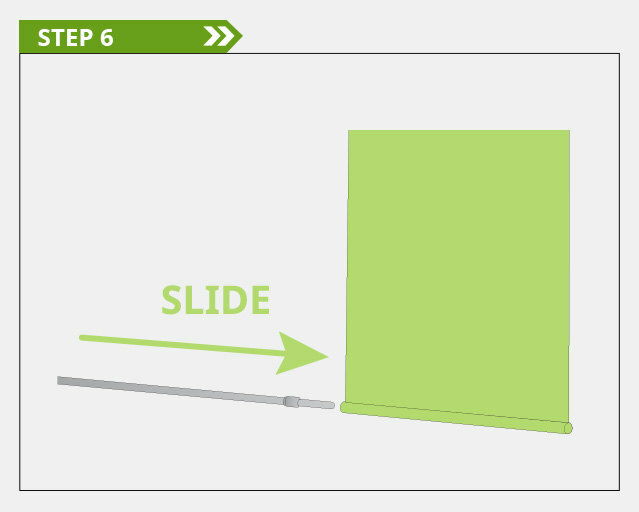 Note: The telescoping stand arrives as a separate order and comes in a carrying bag. You won’t have any problems adjusting the stand’s height nor carrying around its weight. 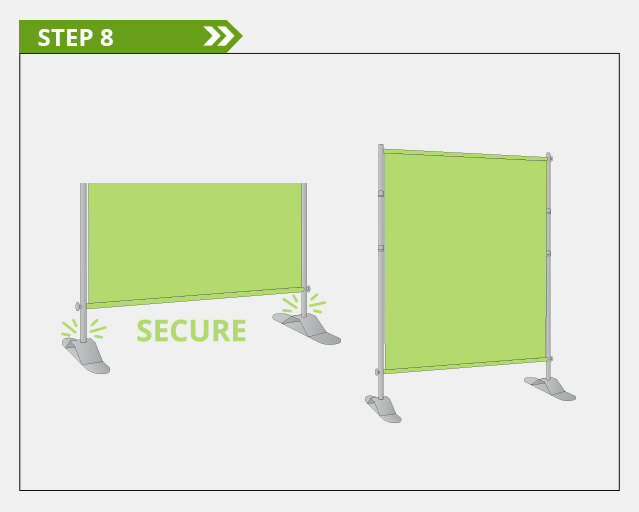 When ordering a banner without a stand, the following treatments are also available to secure the step and repeat banner as a background. Pole pockets are created from extending the banner’s material and then folding it to form a hole through which poles are slid through. Hem with or without grommets can be chosen for a banner plus stand order. The hemming process prevents the material from unraveling. Grommets are recommended if you plan to attach twist ties to the stand. 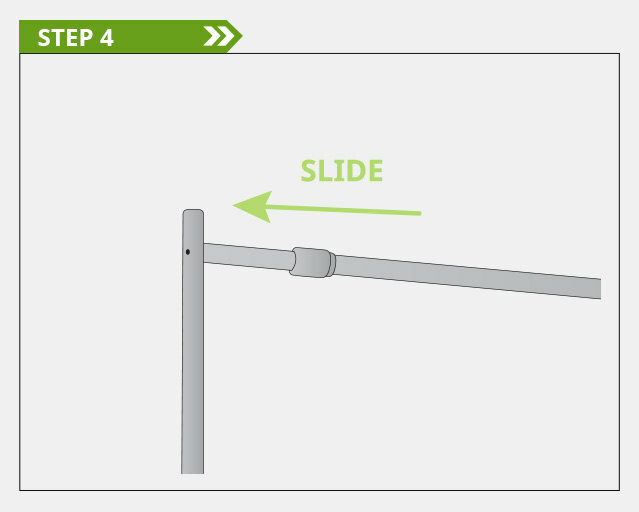 Here’s how to assemble your banner with the telescoping stand. The following steps are best done on a large, flat, and even surface. Connect the top and bottom horizontal telescoping poles. Make sure they are tightly connected to each other. 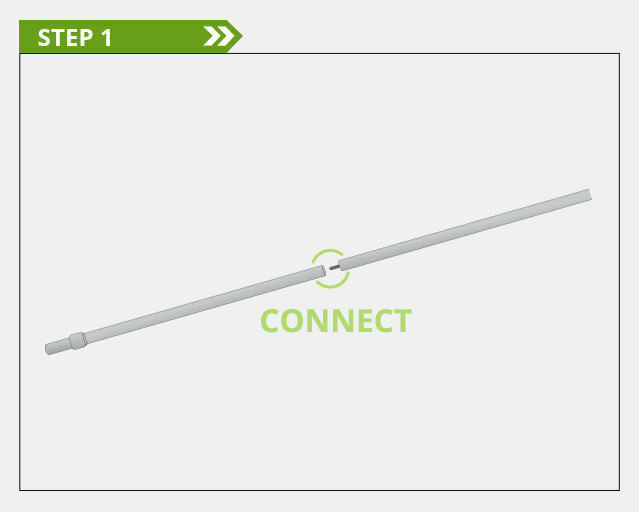 Adjust both sets of horizontal poles so that they have the same length. 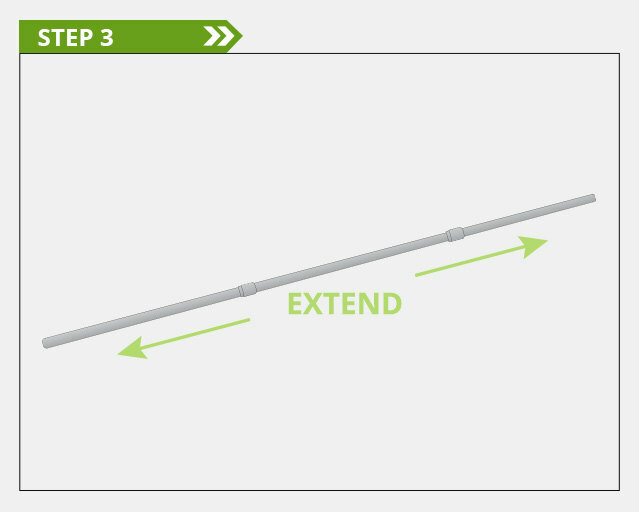 Extend the vertical poles to their length and secure them to one another. Adjust the horizontal poles such that they go a little past the banner length. Slide the top horizontal pole through the pole pocket at the top of the banner. 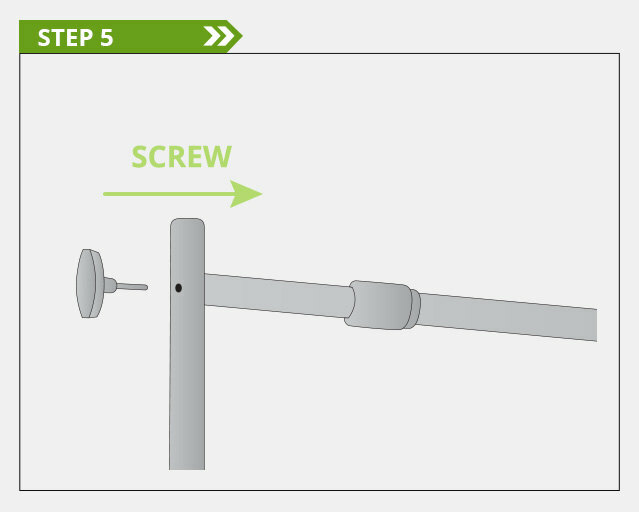 Use the screw knob to attach the top horizontal pole to the vertical poles. Roll out the banner with the bottom horizontal poles placed under the material. Slide the bottom horizontal pole through the pole pocket at the bottom of the banner. 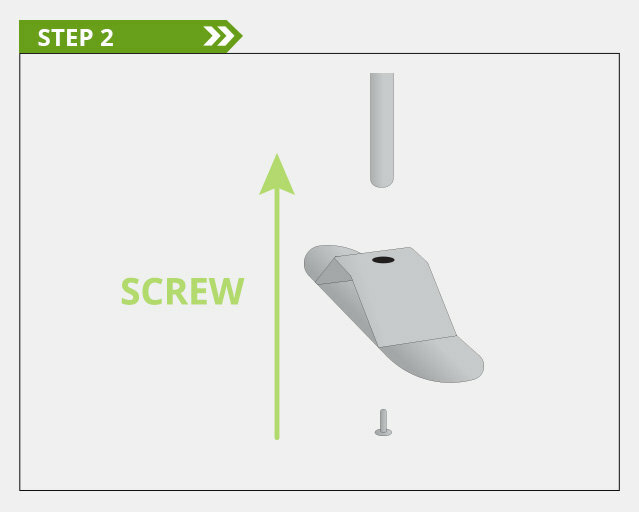 Use the screw knob to attach the bottom horizontal pole to the vertical poles. Check if the vertical telescope poles are securely attached to each other. 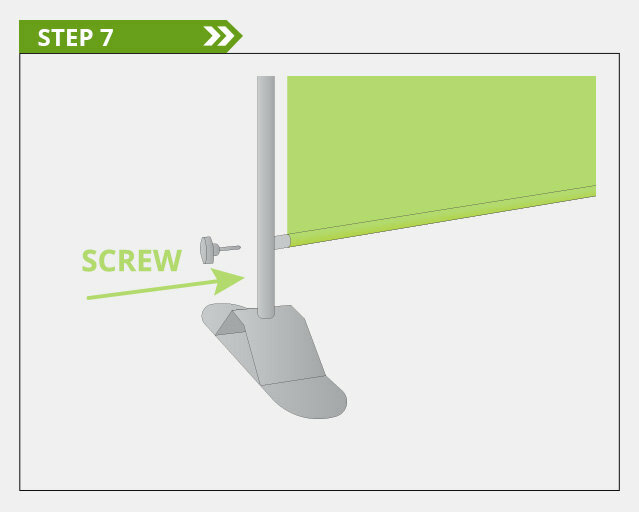 Adjust the bases before lifting the banner up from the back side. Check if the telescope poles need to be tightened further as the banner stands upright. Note: Avoid over tightening the telescoping poles. Locking it too tightly will make disassembly difficult. Upload your design today for fast, high-quality step and repeat banner printing. Orders finalized today can be ready for shipping tomorrow. How far are the grommets from the edges of the banner? How can I ensure that the design won't be cut off by a grommet? The grommets are normally 2 feet apart and about half an inch away from the banner’s edge. Our downloadable layout templates ensure your file is within the right dimensions. You can also select the free file proof option. Once our team has checked the file, we will send it for your approval before printing. Prior to sending, we check and correct any errors found on the file. Can I print on one or both sides? Yes, you can choose to print on just the front or on both sides of the banner. How big are the step and repeat banners? 8’ x 8’ step and repeat is suitable for a smaller group comprised of about 4 individuals. 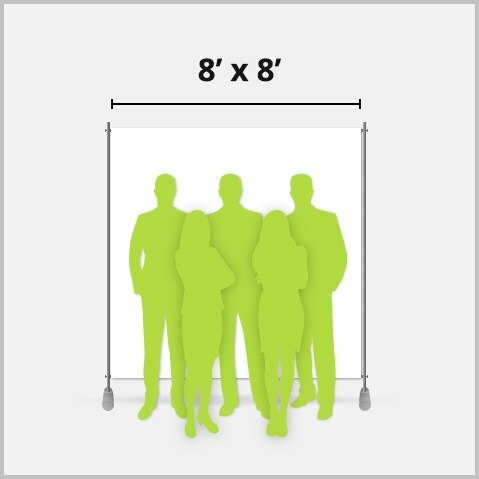 5’ x 8’ is the smallest size and can fit just one individual for a solo shot. Your step and repeat banner can be ready on the next business day after your order. “Printing turnaround” is the number of days for us to produce your pole banner printing order. This does not include holidays and weekends.